The first time that architect Robert Tretsch visited the luxury high-rise condo-hotel that is now the Waldorf Astoria Atlanta Buckhead, he rode a buck hoist and climbed several ladders to reach the top stories that were under construction. That was in 2006, when Harrison Design was asked to create the first model condominium for the 42-story tower’s private residences, which was finished in 2007. 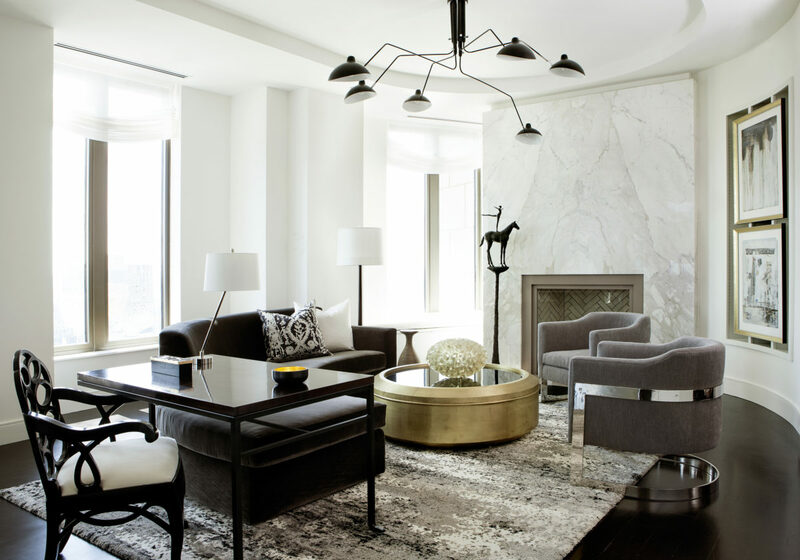 About four years later, the owners invited the firm back to devise a more modern look for the condos. When the model unit was completed, it sold almost immediately. With that auspicious new start, HD’s Modern Studio took the lead in designing the property’s two- and three-bedroom apartments. In eight years, the team has designed and completed 37 high-rise residences in 26 stories, as well as two penthouses. Seventeen floors feature two apartments per story, while nine floors offer full-floor layouts. All the apartments offer stunning views of the Atlanta environs and quality finishes and amenities appropriate for one of the city’s most luxurious destinations. 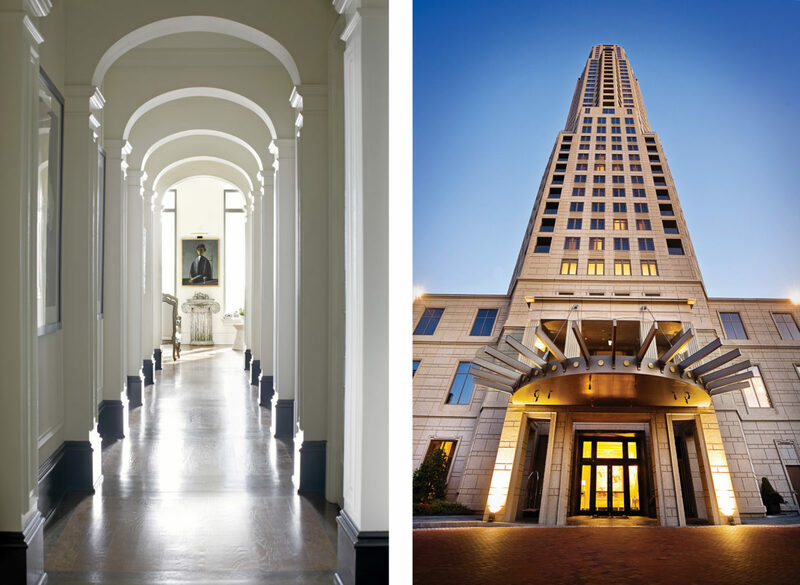 A dramatic rhythmic arcade features classical underpinnings (left photo: Mali Azima); the tower was designed by Robert A.M. Stern Architects (right). The work is still not quite complete, as the architects are currently finishing three townhouses in the rear of the site. In the 12 years, three hospitality groups—Rosewood, Mandarin Oriental and Waldorf Astoria—have managed the hotel, while Harrison Design has held steadfast.